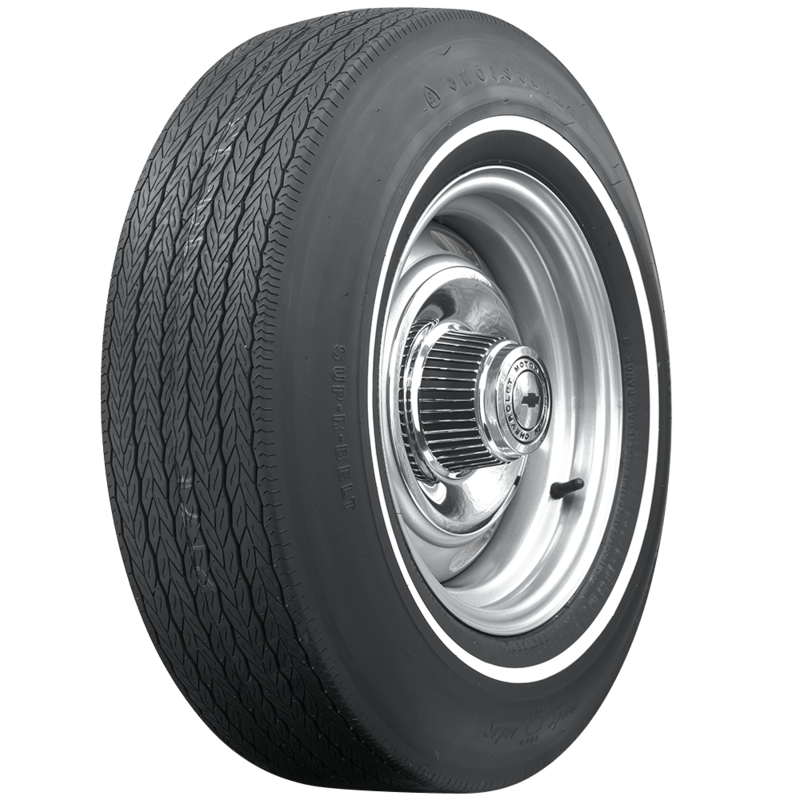 The Firestone Wide Oval tire came about in 1967 as an original equipment tire for many muscle cars and pony cars. 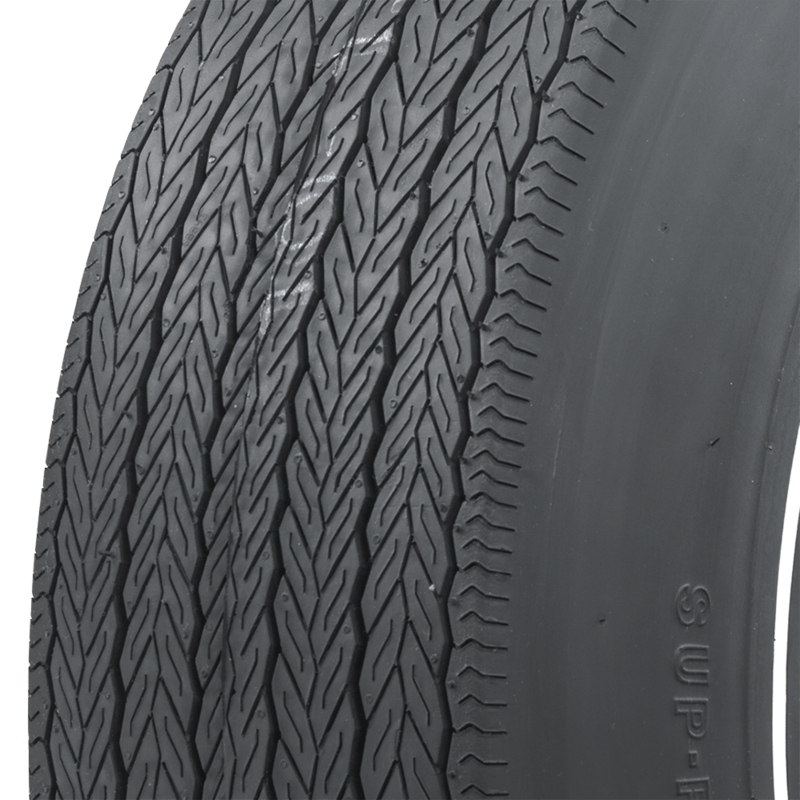 Firestone Wide Oval tires are manufactured in original molds, using the original poly/fiberglass bias ply construction, as well as the Sup-R-Belt tread design. 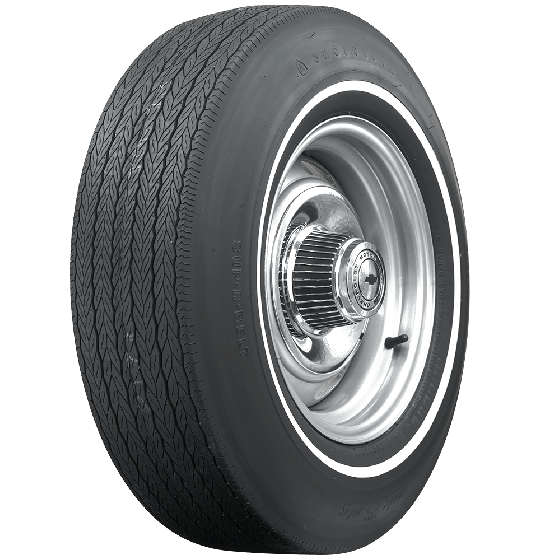 Firestone Wide Oval tires are made in the USA, and feature a variety of sidewall styles, including this 3/8-inch pinstripe whitewall. Firestone Oval tires are also available with redline and raised white letter sidewall styles. Firestone Wide Oval tires are a best seller for our muscle car customers seeking original and authentic tires! 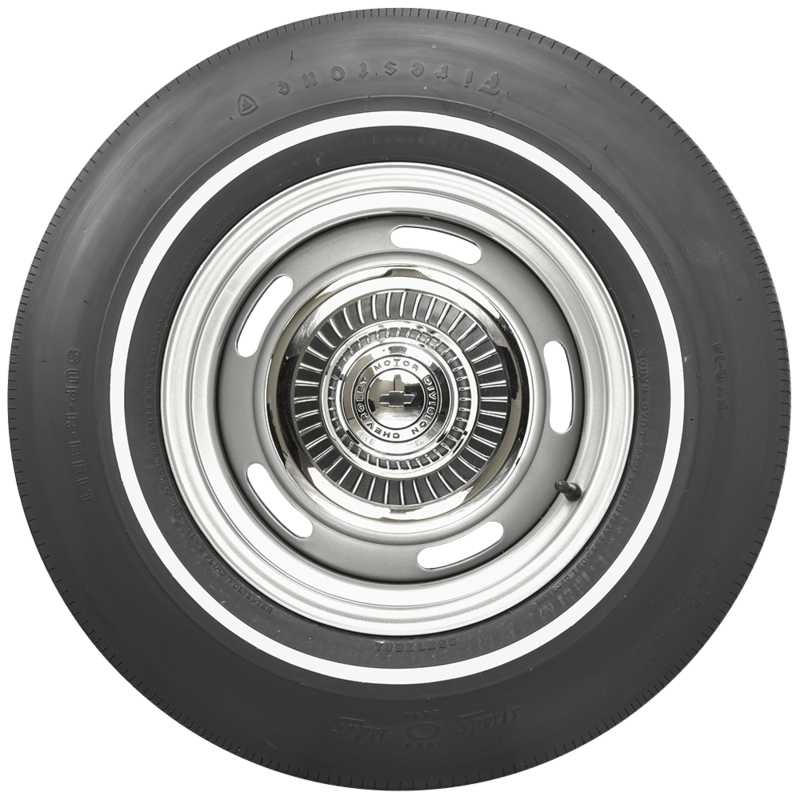 Can a Wide Oval Tire (14 inch rims) be made with a one inch white wall, instead of the thin white wall? The Wide Oval tires are only available as shown, with 3/8" white stripe, redline, or raised white letters.